Is a foam roller right for me? In short, the answer is yes! Many people who are not acquainted with the foam roller may think it hurts too much or simply don’t know how to use it properly. Foam rolling (also known as self-myofascial release) is basically using a method of massage to break up the build-up of fascia which can lead to stiffness, inflexibility and soreness. Fascia is the connective tissue that surrounds the muscles. If someone trains hard consistently without addressing flexibility or myofascial release, it increases their risk for injury. In order to successfully use a foam roller you must choose the right type for your fitness level. There are many types, and beginners should use a low density foam roller. These are usually white. 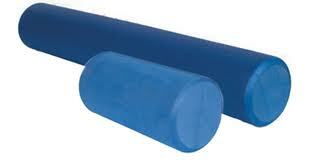 They are the softest and will allow your muscles to be come accustomed to the pressure of rolling. As you progress, you can use medium density which usually come in blue. High density rollers often have a knobby texture which is a more advanced roller. This is the type that I have. Some say that foam rolling is uncomfortable, and this may be so at first. This is especially true if the density is too high. If it is uncomfortable, start by using 2 legged movements and work your way up to single leg/arm movements – just a few minutes a day. It is even helpful to simply find a spot that seems tight and just stay still. The pressure alone will help to break apart the fascia. As you become more fit, your muscles will become denser, and foam rolling will become more comfortable and even a relief. Remember, this is a massage technique, so it is meant to relieve pressure and stress as well as treat the muscle tissue. Using a foam roller is a great way to get to know your body and areas of tightness and inflexibility. I struggle with the flexibility in my hips, and they need consistent stretching and rolling. 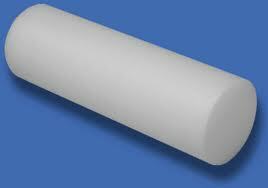 I have also found relief from the foam roller when I am very sore. Last 2 tips- stretch after using the roller for best results. Never stretch or use the roller without warming the muscles up first . Light calisthenics for about 5 min. is sufficient. 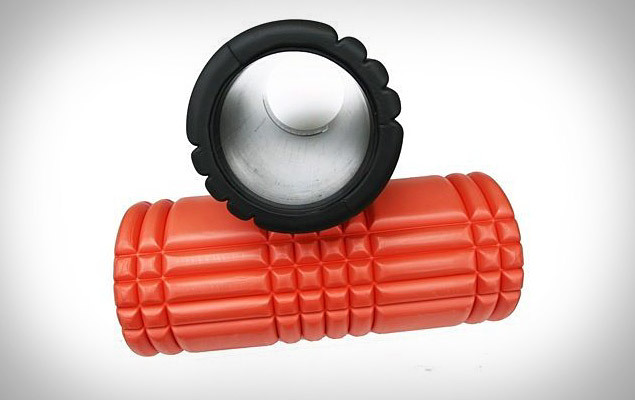 Don’t let the foam roller intimidate you! Reap the benefits of this wonderful exercise tool!